If you’re worried that outsourcing your shipping logistics to a third-party logistics company will increase your costs, think again! There are many cost benefits of LTL shipping and outsourcing your logistics can not only save you money, but time and resources as well. By working with a 3PL company who can manage every detail of your shipping logistics, you’ll be free to spend your time and energy focused on more important matters and when you choose a reliable provider, you can trust that your shipments will be in good hands along their journey to their final destination. 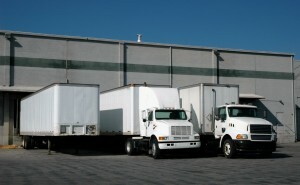 There are many cost benefits of LTL shipping. LTL shipping logistics can quickly become complicated. You need to be sure that your partial load will make it to its destination on time, but there is always a risk of delays, damage, and losses when you don’t have experience managing shipping logistics. Working with a 3PL company will allow you to benefit from their years of experience without having to navigate a steep learning curve. At AFP Global Logistics, we not only have more than 25 years of experience managing LTL shipping logistics, but we also have relationships with multiple carriers which allows us to choose the ideal shipping solution for your unique needs, budget, and timeframe. Finding a carrier who can manage LTL shipments and negotiating with them for the best possible price is a job into and of itself. If you don’t have existing relationships with carriers, you’re unlikely to have the resources needed to secure the best price. You’ll also need to find a carrier who offers flexibility so that they can continually meet your needs, even if those needs change throughout the year due to seasonal inventory. By working with a 3PL company like AFP Global Logistics, you’ll have access to a vast network of resources, professionals, and carriers who will be able to ensure that all of your shipping needs are met and your budget and timeline are honored. Since your logistics provider will be able to negotiate volume discounts, you’ll save money as well as headaches. If you’re looking for a customized logistics handling experience, AFP Global Logistics can handle any and all of your needs! We provide a full range of shipping services, and our 25 years in the business have given us the tools we need to tailor our logistic solutions to each and every individual customer. For more information or to start designing your own logistic solutions today, get in touch with AFP at 410.590.1234 (toll-free 800.274.1237), email us at info@afplus.com, or fill out our quick and easy contact form here! This entry was posted on Wednesday, June 29th, 2016	at 1:23 pm	and is filed under Domestic Shipping	. You can follow any responses to this entry through the RSS 2.0	feed. Both comments and pings are currently closed.